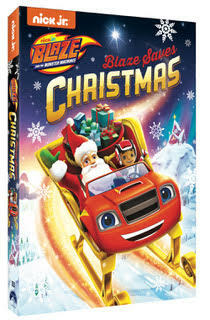 Blaze and AJ are bursting back onto DVD with the all-new release, Blaze and the Monster Machines: Blaze Saves Christmas. Available on DVD, this high-speed collection of holiday and winter episodes follows Blaze and his friends as they deliver presents on Christmas, save a little bunny, catch a cake and put their newfound ninja skills to the test. Produced by Nickelodeon Home Entertainment and distributed by Paramount Home Media Distribution, Blaze and the Monster Machines: Blaze Saves Christmas will be available just in time for the holidays - for the suggested retail price of $10.99. Monster Machine Christmas - When Crusher sends Santa’s magic bag of presents flying, he must team up with Blaze and AJ to quickly deliver all the presents by Christmas morning. 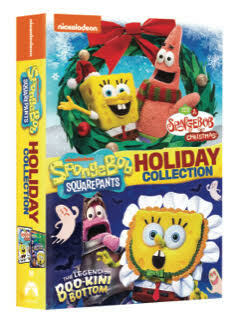 I don't think it would be Christmas without Spongebob Squarepants!